Titan Factory. Production from Schw?bisch Gm?nd - Germany. 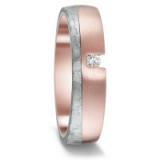 Titanium will not rust and is absolutely allergineutral and skin friendly. Nickel and absolutely free. 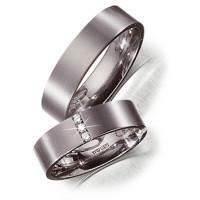 Wedding rings made of titanium matt. 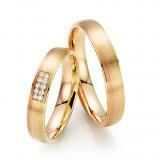 3 Brillant together 0,05 ct. W/SI. Width 5,00 mm.